2017 may be drawing to a close, but there’s still one big event left: the LA Auto Show 2017kicks off this week. Finishing up the year on a high, we’re expecting a wide range of new cars from automakers domestic and international. Convertible hybrids, more capacious new SUVs, and some serious luxury… check out five of the cars we’re most excited about, set to debut at this year’s show. BMW has been teasing us with the droptop version of its i8 hybrid sports car for years now, but it’ll be the LA Auto Show 2017 where the i8 Roadster makes its official debut. Borrowing its hard-top sibling’s style – still distinctive, even after several years on the market – the convertible is expected to have a soft-top rather than a hard roof, both for practical and weight-saving purposes. Arguably more exciting than the removable roof is the increase in both power and range that are also expected. BMW’s combination of a relatively small, three-cylinder gas engine and an electric motor is still an intriguing one, but the i8 has been out-performed by other hybrids on the market. A little more grunt to match the looks will be welcome. Infiniti’s SUV and crossover line-up is getting a revamp, with the QX50 crossover set to debut at the LA Auto Show 2017. With the automaker having already previewed the SUV back in January in concept form, we know it’s going to be a handsome beast. Of course, what remains to be seen is how much of that style makes it to the production model. What we do know is coming is the QX50’s slick new engine. It’s the world’s first with variable compression, a 2.0-liter turbocharged four-cylinder that can automatically change its compression ratio so as to balance power and efficiency. The result is 268 HP and 280 lb-ft of torque, but a promised 26-27 mpg on the highway depending on whether you go with front-wheel drive or all-wheel drive. If the QX50 can actually deliver those numbers in the real-world, it’ll be a game-changer. The RX SUV remains one of Lexus‘ most popular models, and the LA Auto Show 2017 will see the Japanese automaker address one of the few remaining complaints. A third row of seats will open the SUV up to buyers with larger families, and drop the RX into a new and highly competitive segment. The design is likely to stick closely to what we’ve seen of the current RX, which means that third-row space won’t exactly be cavernous. Still, accommodation for a couple of extra kids could mean the difference between the RX being counted out of contention on shopping lists, and it being a strong contender. Mercedes’ “four door coupe” gave the auto industry a new segment back in 2003, but the CLS itself is only just reaching its third-generation. Along the way its gathered competition from all of the big German automakers, among others, so the pressure is on for Mercedes-Benz to wheel out something new and special at the LA Auto Show 2017. To do that, we’re expecting Mercedes to borrow liberally from the latest S-Class and E-Class. 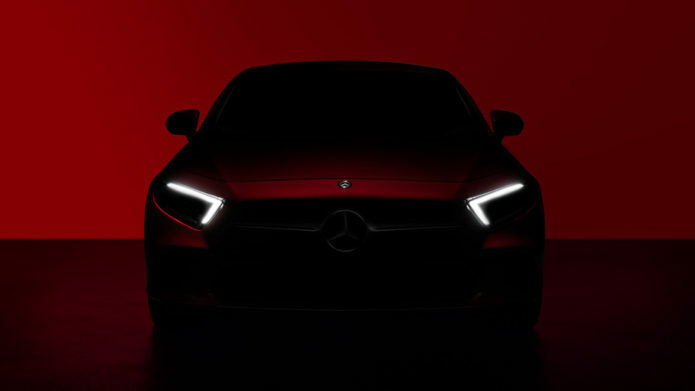 They’ve got the engines, technology, and new design language, and are likely to donate things like huge dashboard displays, color-changing ambient lighting, and a smoother aesthetic to the new CLS. There’s always a risk, when you’re redesigning an icon, that you’ll get the recipe wrong. Jeep knows that well, and so there’s plenty resting on the reception of the new Wrangler SUV. We’ve already seen it in photos, but it’ll be the LA Auto Show 2017 where we get full details, including a chance to see how those distinctive proportions hold up in person. Jeep’s big challenge is keeping the Wrangler competitive with other SUVs, while maintaining the ethos that keeps fans coming back generation after generation. Eventually that’ll mean appealingly-unusual variants like the Wrangler Scrambler, a pickup version of the Jeep, but for the moment we’re expecting a careful injection of active safety and driver-assistance tech that hides beneath the ruggedness. These may be five of the biggest new announcements we’re expecting from the LA Auto Show this year, but they’re far from being all of the new cars. As the last big car show of 2017, it’s a chance for automakers to close things out with a bang, not to mention grab some headlines as model year 2018 cars arrive in earnest on dealership forecourts.